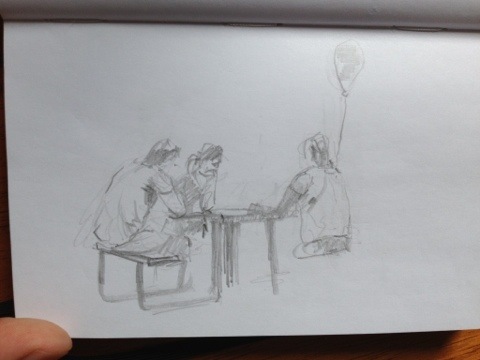 Today I went out to participate in a sketchcrawl in my new hood in Decatur GA. I Only had pencils and a tiny sketchbook plus my trusty Nintendo DS since most of mygear is in a container somewhere. 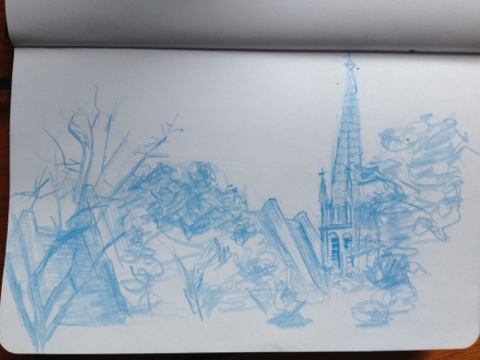 I did one sketch of a church in blue col- erase pencil. 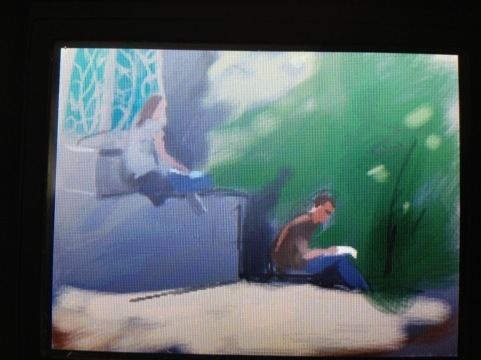 Then i found a dark spot under a big tree amd sketched my friends and fellow sketchcrawlers Will and his wife Anna on my Nintendo. 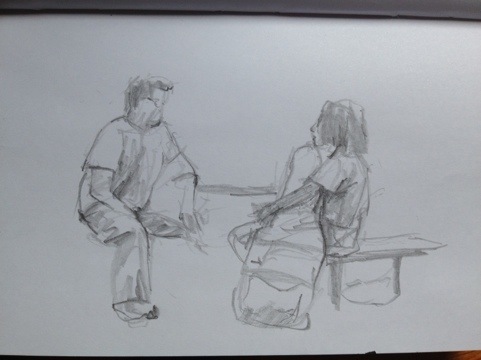 The last few minutes were spent doing quick studies of random people in Decatur square. A fun day out.